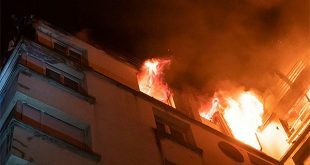 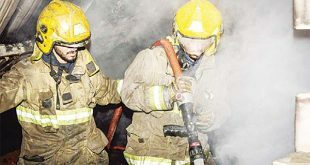 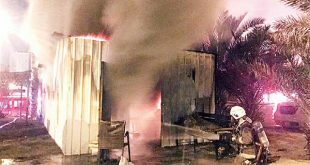 KUWAIT CITY, July 1: Twelve teams, which consisted of 180 firefighters, took part in taking out the fire that broke out in an under-construction building in Sharq area, causing injury to three of them, the Fire Public Relations Department said Friday. 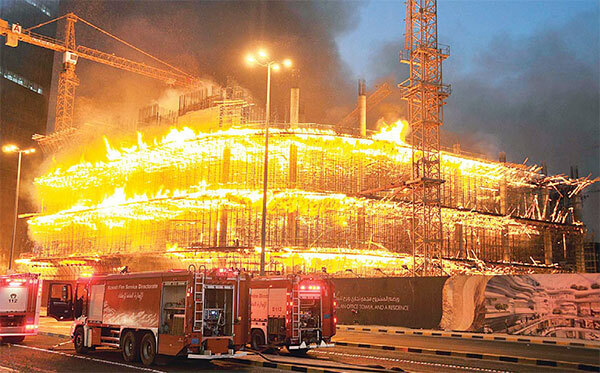 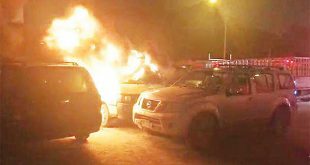 A statement by the administration said the operation center received a call at 15:30 pm (local time) of a fire in one of the under-construction buildings, an area spreading to 380,000 square meters. 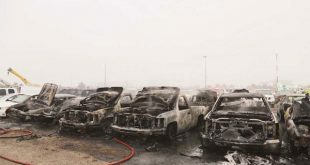 The statement noted that the biggest challenge firefighters faced was to prevent the fire from spreading to other buildings or areas that were nearby, even though the fire reached eight buildings due to high winds, however, firefighters were immediately on the scene, including teams from Kuwait Oil Company (KOC), to enforce fire resistance. 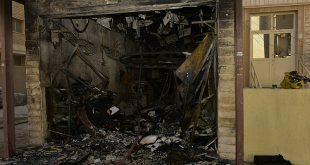 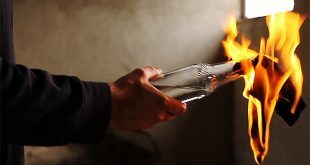 The statement also noted that huge material damage has occurred and a final estimate on the losses will be calculated later on, due to undergoing investigation on the reason that caused the fire.